Born in Molina de Segura (Spain). He obtains a Bachelor’s Degree in Geography and History from the University of Murcia and at the same time he studied singing at the Joaquín Rodrigo Superior Conservatory of Valencia under the guidance of the Professor Ana Luisa Chova. He finished his vocal training working with singers such as Elena Obratsova, Magda Olivero, Alain Fondari and Vladimir Galouzine. In addition, he work the interpretative questions with prestigious directors and accompanist: Miguel Zanetti, Jose Cervera Collado and Lorenzo Petri. He makes his stage debut in the main role of The Tales of Hoffmann in the Opera Studio of the Palau de la Música in Valencia, directed by Kamal Khan. Later he develops his artistic career participating in the operas Manon Lescaut (Lampionaio), Tosca (Spoletta), Don Carlo (Lerma and Heraldo), Tristan and Isolde (Melot) and Julio César (Nireno). The most important main roles which he interprets in this period are Tamino in La flauta mágica, Ferrando en Cosí fan tutte, l’Amante in Amelia al ballo, King Gaspar in Amalh and the Magi, Rodolfo in La Bohème and Paco in La vida breve. But soon Eduardo Sandoval’s repertoire undergoes an expansion and evolution that makes it possible, around 2012, to consolidate his tessitura as a tenor spinto. 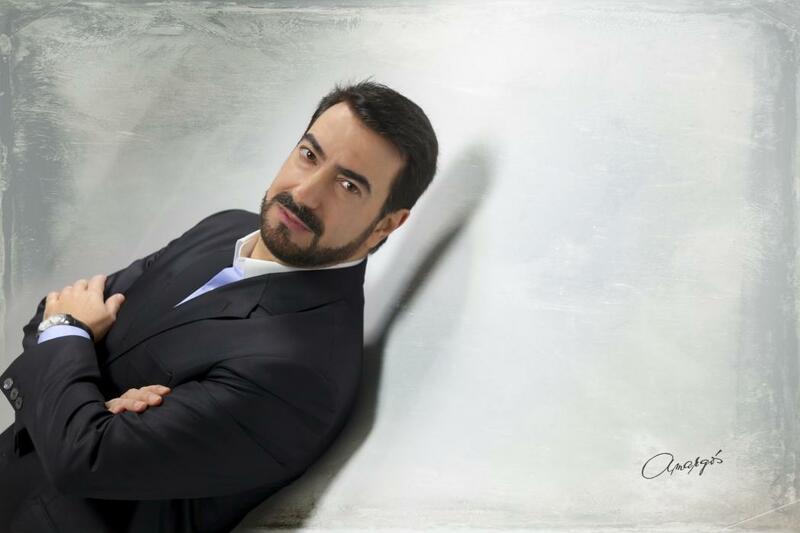 His interpretation of Manrico is highly acclaimed in his debut of Il Trovatore represented in Zaragoza under the direction of Juan Luis Martínez, role which later interprets regularly. Other important performances in his career since then are the Calaf in Turandot of Palma de Mallorca, directed by José María Moreno, the same role in the Opera of Sabadell, the main role of the Otello verdiano in Porto Alegre (Brazil), Don Jose de Carmen, in Andorra and later in the National Theater of Lima next, together with Nancy Fabiola Herrera, Canio of Pagliacci, played in Vigo and in the Teatro Cervantes in Malága. Eduardo Sandoval has worked throughout his career with well-known conductors: Gómez Martínez, Christian Badea, José Collado, Miguel Ortega, Enrique García Asensio, José Ramón Tébar, Cristóbal Soler, Adrian Leaper, Dimitri Loss , Lazlo Heltay, Juan Luis Martínez, José María Moreno, Santiago Serrate, José Miguel Pérez-Sierra, Tulio Galiardo and Jorge Rubio. In the scenic section, the productions in which he has participated have been directed by Emilio Sagi, Ignacio García, Marco Carniti, Pablo López, Antonio Diaz Zamora, Curro Carreres, Victoria Milanez and María Voronkova, among others. In addition to the opera, Sandoval regularly performs in Zarzuelas, a Spanish genre which he dominates. The most outstanding performances were, among others, Luisa Fernanda (Javier), La Tabernera del Puerto (Leandro), Bohemios (Roberto) and La Dolorosa (Rafael). In the Oratory field and symphonic works his participations are always a big success: Messiah of Haendel with Lazlo Heltay, Requiem by Mozart and Song of the Forests of Shostakovich, which was directed by Cristóbal Soler in the Palau de la Música of Valencia, or the symphonic repertoire such as De profundis by A. Blanquer, with Adrian Leaper, and the Bells of Rachmaninoff with the Orchestra of RTVE.